With Genesis Drainage’s drain jetting in Hereford, we promise that all of your drainage systems will be jetted clear, clean and ready for use promptly. We use the latest technology for our CCTV Drain Surveys which allows us to determine the exact location of the problem, and then quickly find a solution. Drain jetting is an effective solution for a drain that is constantly causing problems. If you are finding yourself constantly spending money to unblock a nasty drain, this may be the solution to end all solutions. It involves using pressurised water to force all of the dirt and grime clean off your drains quickly and effectively. Genesis Drainage have been providing drain jetting in Hereford not only for small drainage systems in your home, but we are also offer our help for larger drainage systems in commercial premises. Our team have all been professionally trained to tackle all types of drainage systems with ease, making sure to cause as little disturbance as possible to your home or business. We have the capability to rapidly examine your drains and find the most cost-effective solution for you. Genesis Drainage are available for drain jetting in Hereford and across the region, we are passionate about providing a service that is to the highest of standards. We have obtained a reputation that we are all extremely proud and do our utmost to uphold it. Our 40 years have taught us many lesson, not only on the best methods to clear drains, but also how to build strong relationships with clients by catering to their needs. So if you need a professional and highly experienced team to tackle your drains, look no further than Genesis Drainage. 24/7 Call out Service – For those unexpected drain blockages, we offer an emergency 24/7 call out service to our clients. May it be a late Friday night or on a Sunday afternoon, a member of our team is guaranteed to visit you at your home or commercial site. 40 Years of Experience – We have over 40 years of experience under our belt, dealing with drainage issues to all extents. You can have peace of mind that we are a team of experts who love that they do. 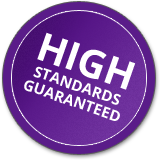 Affordable and Professional – All of our work is carried out to high levels on professionalism, ensuring to uphold the status that we have built up over the last 40 years. However, our prices are still reasonable and competitive around Hereford and surrounding areas. If you need your drain jetting in Hereford, then ring us and we will offer you with advice and make an appointment suitable to you.